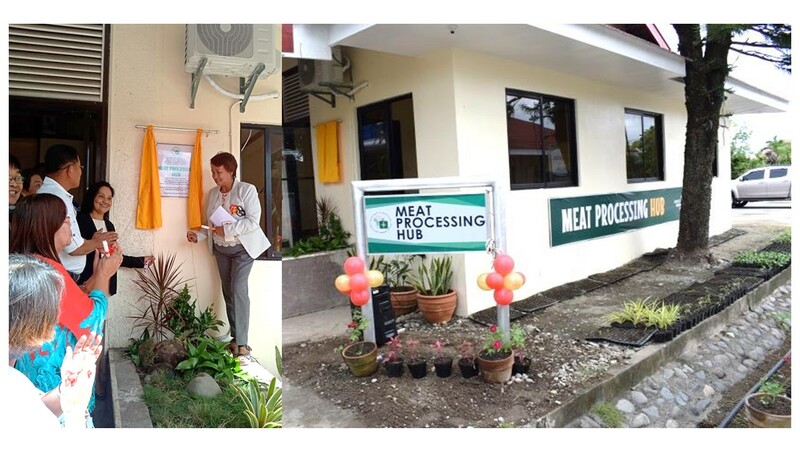 Ms. Imelda Guillermo, OIC Center Director leads the inauguration of the meat processing hub during the ATI 32nd anniversary celebration. Earlier, it was just a plan to have a venue for skills training where good manufacturing practices will be demonstrated for safe and healthy food products. But it became a reality and now inaugurated during the ATI 32nd anniversary celebration on January 28, 2019. The 40 square-meter Meat Processing Hub, equipped with processing equipment and tools, will be used as venue in the conduct of food processing training applying the good manufacturing practices. It was funded by the Department of Agriculture under the National Livestock Program. The Hub is now ready for use this coming February for the meat processing training.